Next month the Buffalo Bills take on the Jacksonville Jaguars, but they do so while both being "on the road". The game will be played in London, England, and is the one of two matches set for that destination, as the Dolphins and Jets will clash there later this season as well. Want to see the game? You can do so multiple ways. Yahoo is bringing you all of the action from every touchdown to every sack. The search and content company announces today that it will have a "Destination" for all the information and action. "To get NFL fans around the world revved up for October 25, we’re launching a destination dedicated to everyone who loves football. 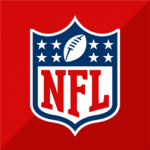 Fans can check-in daily to see the latest behind the scenes content, team stats, and videos produced by both the NFL and Yahoo Studios", the company states. In addition, you'll actually be able to watch the game on the device of your choice, regardless if it's a PC, phone, tablet or connected TV. Yahoo welcomes you to "Go check out the site and start getting pumped up for the game". So put on your jersey, paint your face and get moving.